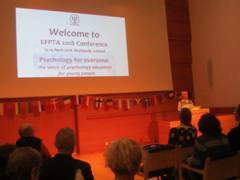 EFPTA is a federation of national and regional associations of psychology teachers in schools and colleges in European countries. Members are mainly involved in teaching psychology at lower and upper secondary levels, to school students aged c.13-19 years. 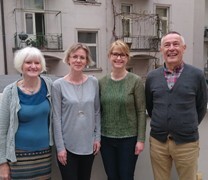 Our aim is to promote pre-university psychology education in Europe by facilitating co-operation amongst Psychology Teachers' Associations.To this end we organise conferences, facilitate student and teacher collaborative projects, conduct research, and engage with other psychologists' associations and educational organisations in Europe. EFPTA is an Affiliate Member of the European Federation of Psychologists' Associations (EFPA) and we are represented on its Board of Educational Affairs. 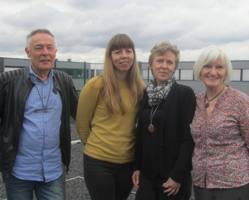 Are you a psychology teacher in a European country? Are you interested in networking with other psychology teachers across Europe, and promoting pre-university psychology education in your own country? If you belong to a psychology teachers' association, your association may already be a member of EFPTA - check the 'Associations' pages. Use the tabs above to learn more about EFPTA and find out how you can get involved in our work. EFPTA Newsletter 2018 is published! Interested in EFPTA? Do you have something to tell us?